Apart from its massive size, there are other evolutionary details about the new species that make it entirely unique, according to a new study published Thursday in the journal Current Biology. 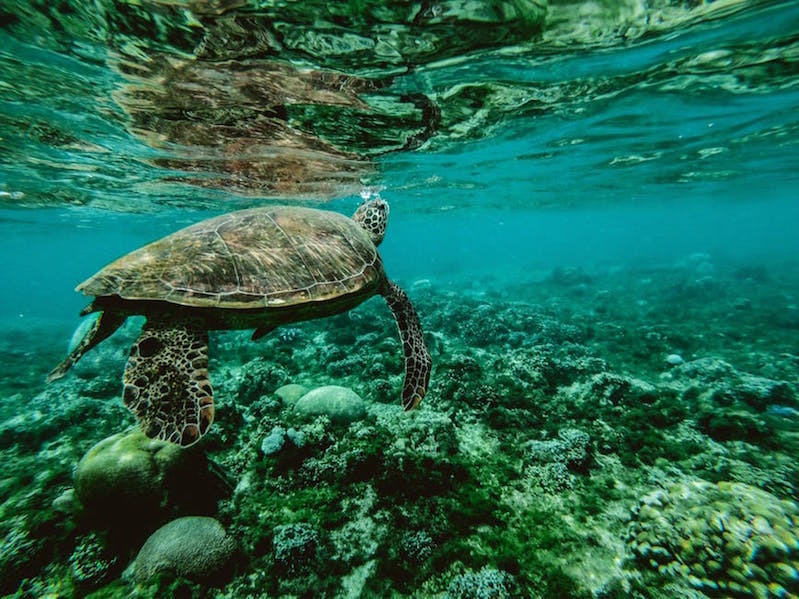 "It shows us that even as far back as 200 million years ago, these animals had already become the largest vertebrates to ever walk the Earth," Choiniere said. 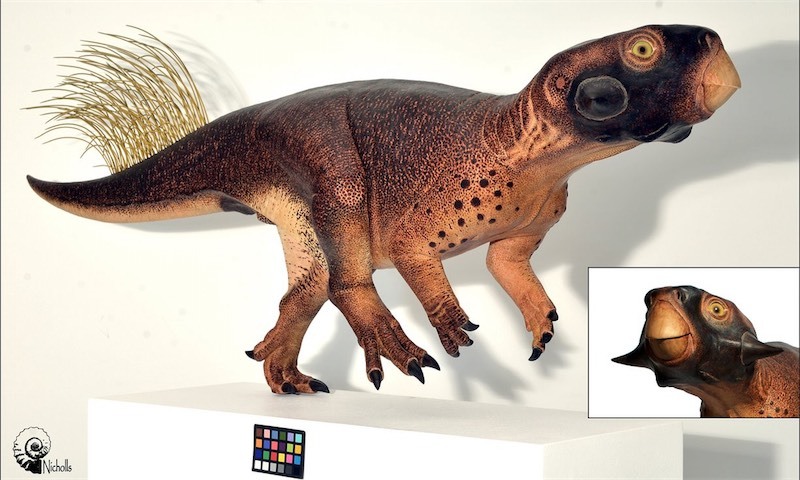 The researchers believe that Ledumahadi was a transitional dinosaur, an evolutionary experiment itself during the Early Jurassic period. The forelimbs of this dinosaur are more "crouched," while being very thick to support its giant body. 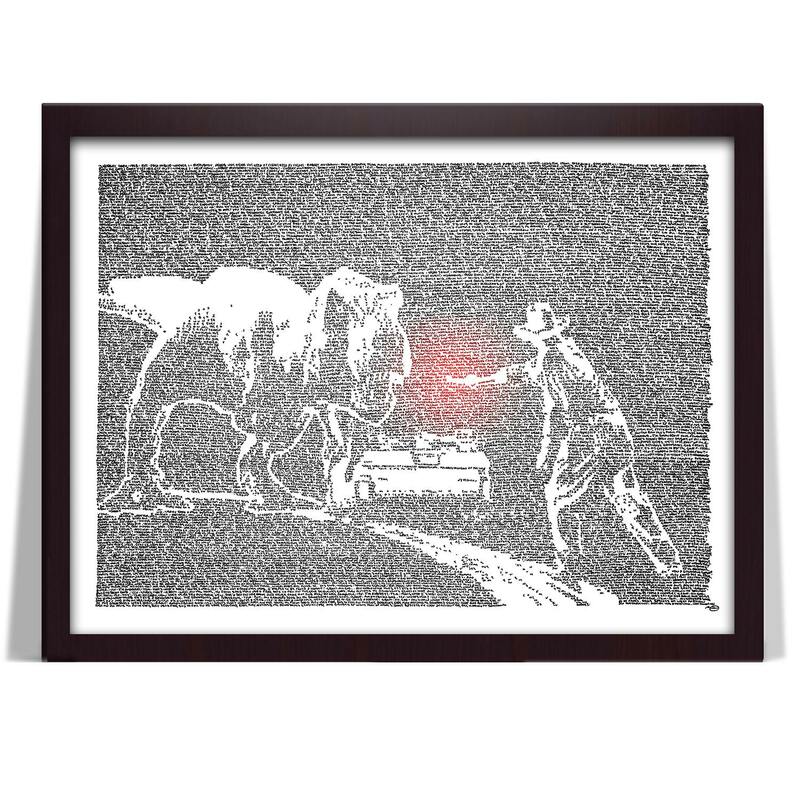 Tyrannosaurus rex is known for being huge and threatening. What's with those tiny arms though? Don't call them useless. 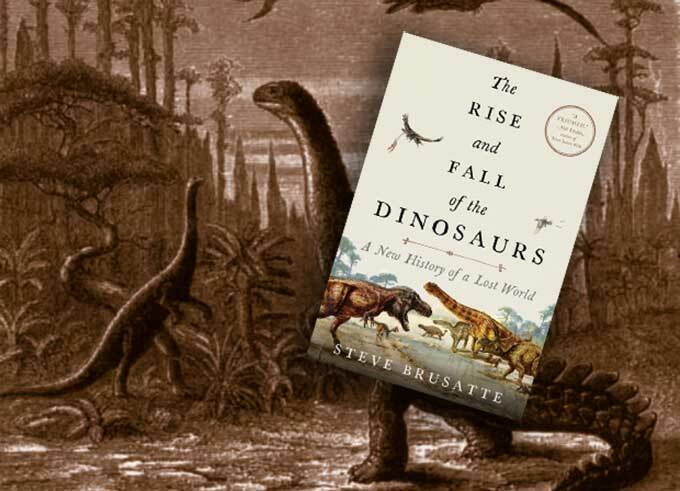 The first dinosaurs were not brutish monsters like T. rex or earth-shakers like Brontosaurus. Dinosaurs evolved from skinny, long-limbed, cat-sized ancestors called dinosauromorphs, which lived about 250 million years ago. 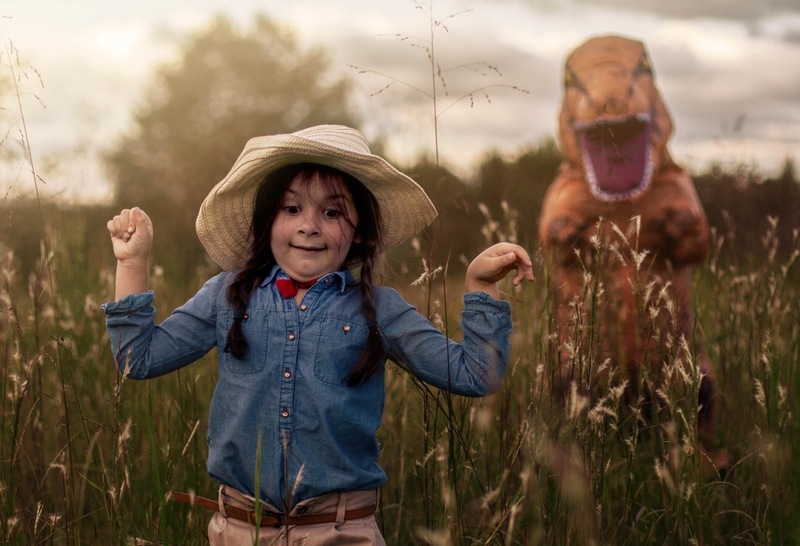 They were sprinters who ran around on four legs, and lived in the shadows of giant amphibians, reptiles, and mammal ancestors who dominated the food chain at the time. After they originated, dinosaurs diversified during the Triassic Period (252-201 million years ago). Many new species evolved, but they lived in only the more humid parts of the Earth, and none of them got very big. During this time they were being eclipsed by their close cousins, the crocodile group of reptiles. There were more crocs, they lived in more places, and they were at the top of the food chain. 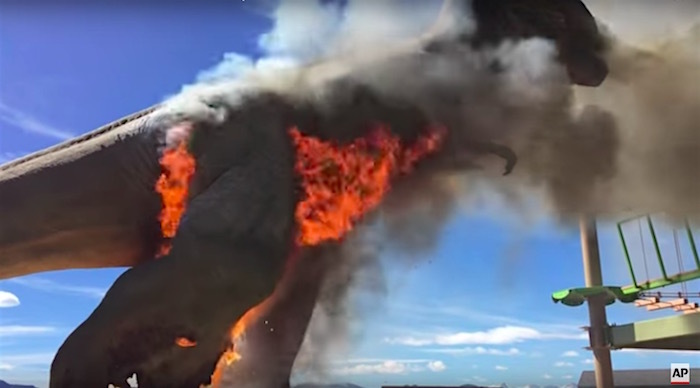 A life-size animatronic Tyrannosaurus Rex at a Colorado dinosaur theme park went down in flames yesterday. Zach Reynolds, co-owner of Royal Gorge Dinosaur Experience, says it was probably caused by an electrical malfunction. Although the 24-foot-tall T-Rex is a big loss to the park, Reynold's had a sense of humor about it when he joked, “We knew he had a temper, but today he blew his top.” He added, "it made for some spectacular imagery along the way." 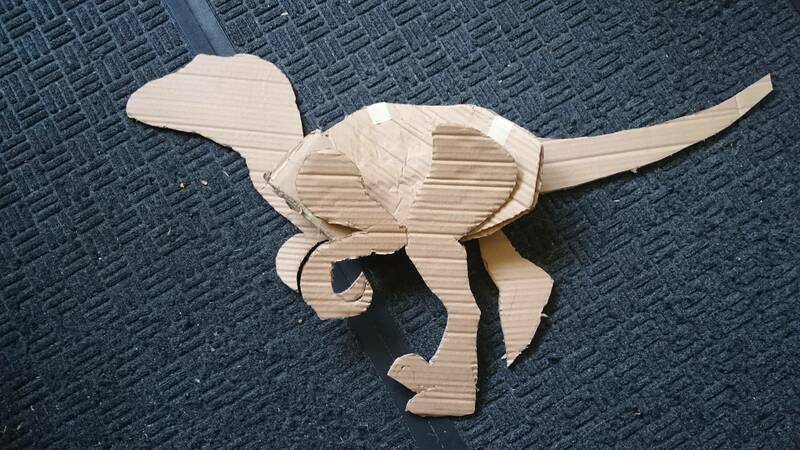 The good sport hopes a new dinosaur will take its place by this summer. Fair warning: This might just be the cutest, and simultaneously educational, thing you'll see all week. 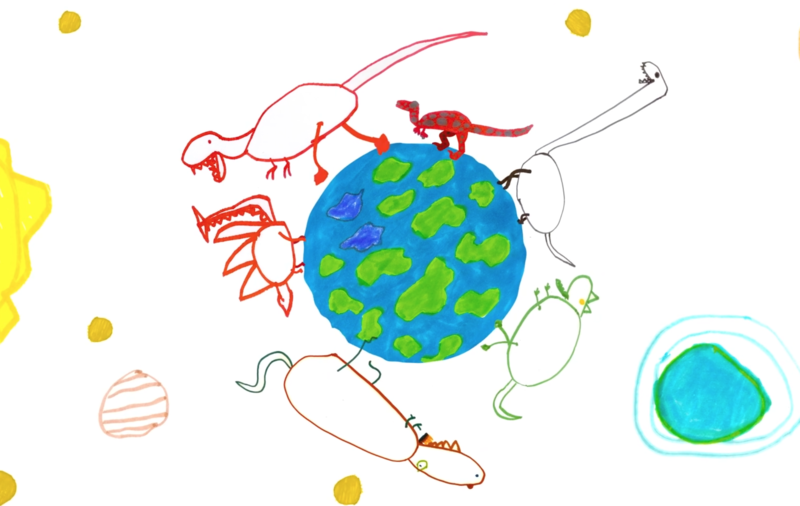 Using the drawings and story provided by his young son Nathan, Allen Mezquida created a wonderful "animated dinosaur drama" they've simply titled, Dinosaur. Yes, proud father aside, it came out great. The Museum of Natural History in LA even posted it. 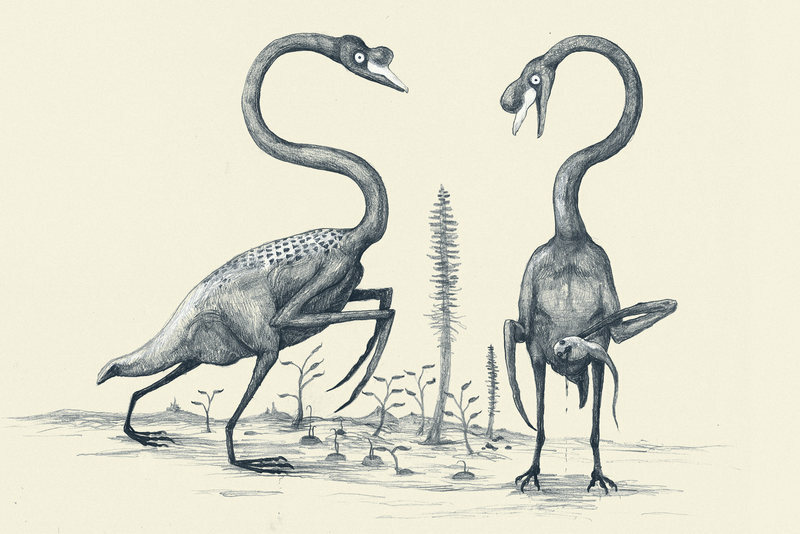 Are pitch-lowered bird calls what dinosaurs sounded like? Something nice, perhaps even wonderful, is going viral! 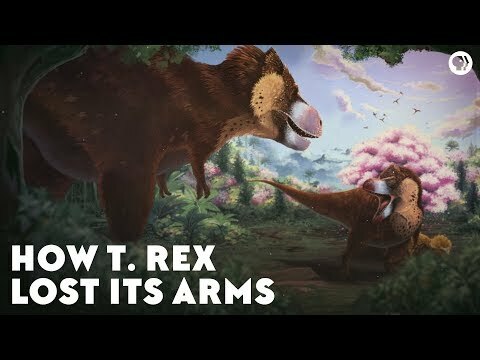 Are birdcalls "slowed down", or lowered several octaves, examples of what the dinosaurs would have sounded like? 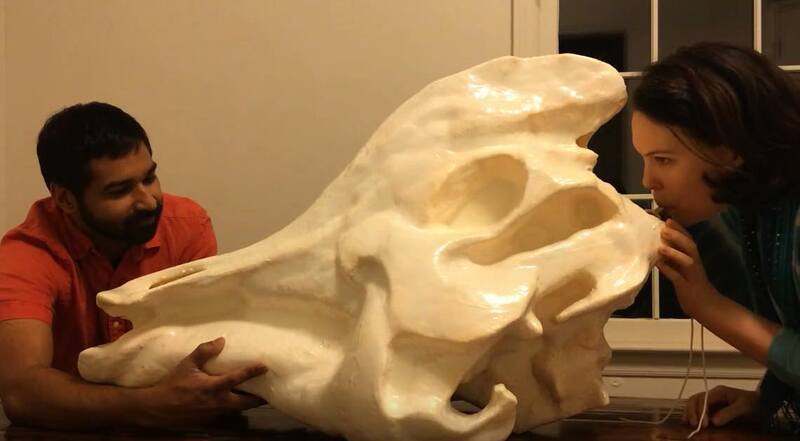 A reddit user debunks the speculation, but substitutes an experimental effort to recreate dino song, by sound artist Courtney Brown. 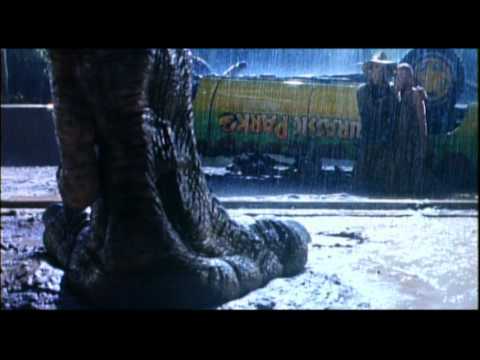 Anyone with an ounce of scientific credibility knows that dinosaurs sounded like Norm McDonald standing on a British plug. 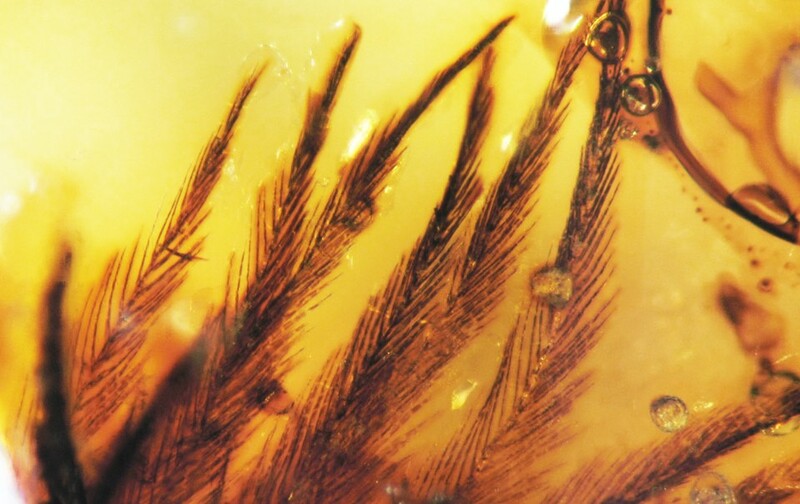 At a market in northern Myanmar (Burma), China University scientist Lida Xing found a piece of amber containing a remarkably well-preserved dinosaur tail, complete with feathers. 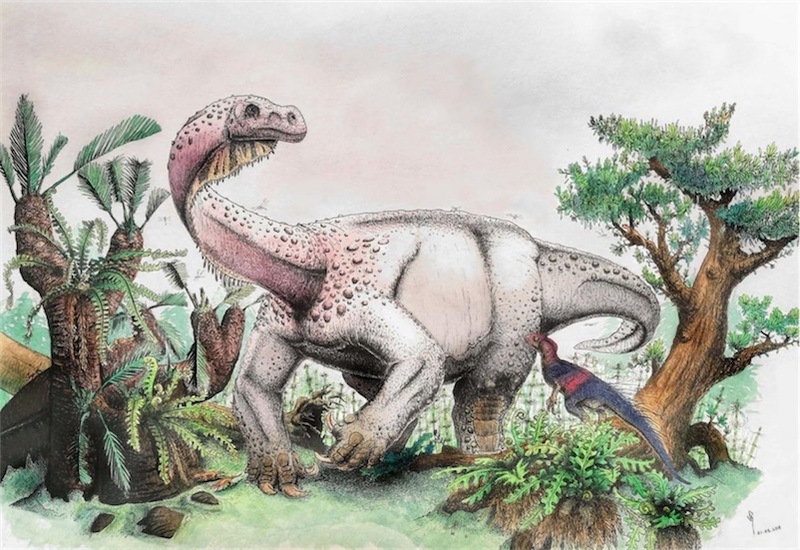 It likely belonged to a coelurosaur, a birdlike beast that lived about 99 million years ago. National Geographic video above. Plans for future research below. The reconstruction is the culmination of around three months’ work, from detailed drawings to finished fibreglass model. Nicholls created a steel frame and bulked it out using polystyrene and wire mesh, before sculpting the surface in clay:.“This is where the subject finally comes to life,” he explains, “by adding all the skin details such as scales and wrinkles, and beaks and horns.” A master mould was made from this sculpture, allowing Nicholls to make fibreglass models ready to be painted. 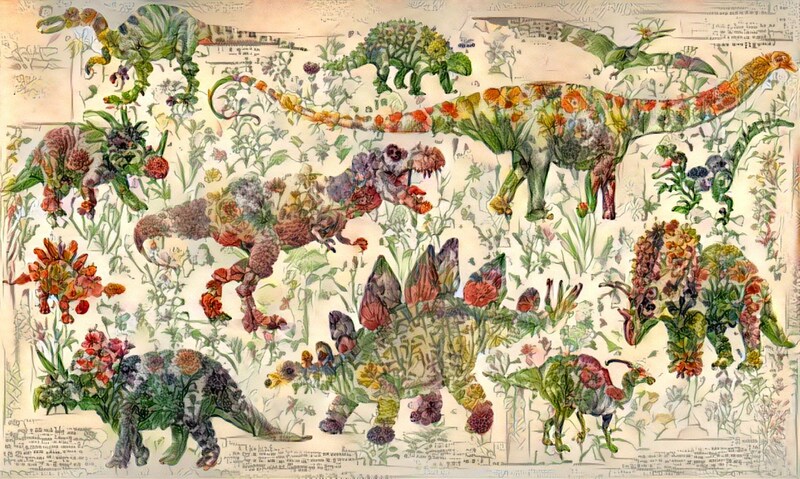 Every volume of Science Comics offers a complete introduction to a particular topic -- dinosaurs, coral reefs, volcanoes, the solar system, bats, flying machines, and more.